This week on The Morning After DJ Goldilocks and DJ O$AP had the opportunity to sit down with one of the candidates campaigning for the Student’s Union Board of Directors, as well as for the Laurier Board of Governors. His name is Joseph Small and he is a second year Economics and Accounting major who wants to see real change come to Laurier, specifically in the communication between the Student’s Union and the student body. The main take away from his campaign is his primary goal to increase efficiency in addressing the concerns of students and improve the system in which students are able to voice their opinions. Joseph believes he is the candidate to accomplish the necessary changes because he brings a unique perspective and has an action plan prepared to start guiding the Student’s Union in the right direction towards improving the flow of communication. After sitting down with several students Joseph realized that many students feel very disconnected from the Student’s Union despite their presence on social media such as Instagram, Facebook, Twitter and Snapchat. As a result of these conversations his goal in pursuing this position has become to break down the overall feeling of exclusivity of the Student’s Union through the creation of a new social media platform. 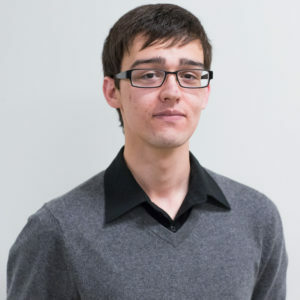 Ideally Joseph wants to create a website exclusive to the Laurier community where students are able to post anonymously, or with their student number attached if they so choose, any questions, comments, or concerns that they deme important or feel should be addressed by the Student’s Union. He also wants to increase the flow of information out to the students from the Student’s Union; for example, he would like to post the main discussion points from the board’s weekly meetings on this website so that students have the ability to voice their concerns and opinions on current issues and initiatives taking place. He believes this approach will help students feel more engaged with their school and increase student involvement in the Laurier community. Joseph has a great deal of experience in financial roles, such as Finance Director in his House Council, a payroll clerk and a professional book keeper. He believes these positions have prepared him for the roles he is pursuing because they have allowed him to gain experience in fiscal management – how budgeting works and how to implement initiatives in a cost-efficient way. He believes these experiences have provided him with the skills and knowledge on compromising the desirable and what’s feasible. If you’re interested in reading further on Joseph’s campaign, or the other candidate’s platforms, please click here to go to the Student’s Union page!